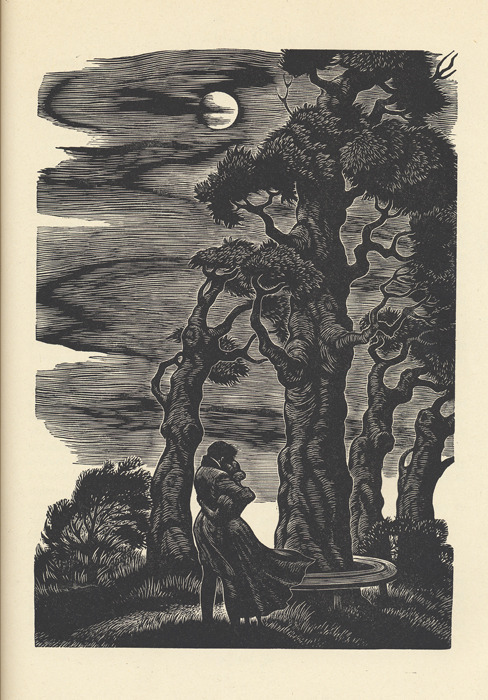 Since we talked about Jane Eyre day before yesterday and since I seem to be in a darkly, gloomy, walking on the moors (unfortunately there are no moors in NJ) sort of mood, I present to you the incredible wood cuts of engraver Fritz Eichenberg. I've only just run (figuratively) across his work within the last couple of weeks - isn't the Internet great for this sort of thing? 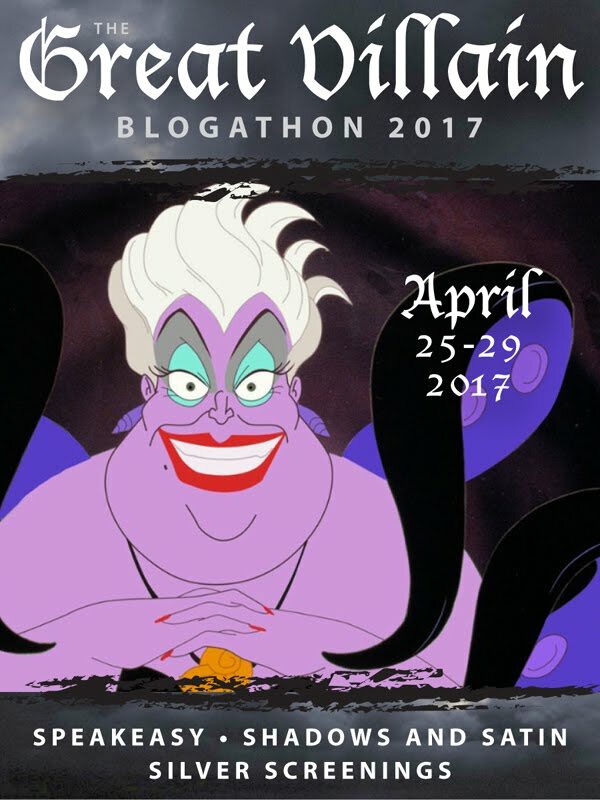 Though I know that many, many other bloggers got to Eichenberg ahead of me and if you were one of them why didn't you let me know? Just sayin'. 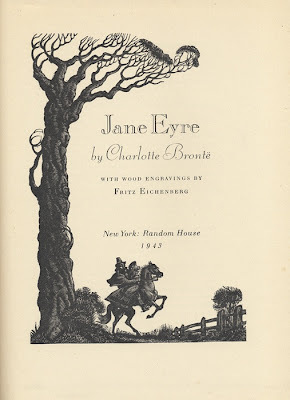 This dark and brooding 1943 version of JANE EYRE (there's also a WUTHERING HEIGHTS for you Heathcliff fans) is certainly a work of art and since my own copy of Jane Eyre is literally falling apart, I am making it my mission to get my hands on a nice Eichenberg edition. The book has been out of print for awhile (it's possible that with all the recent talk about this amazing work, some publisher might take the hint and re-issue the book) - John of Pretty Sinister Books will know, I'm sure. 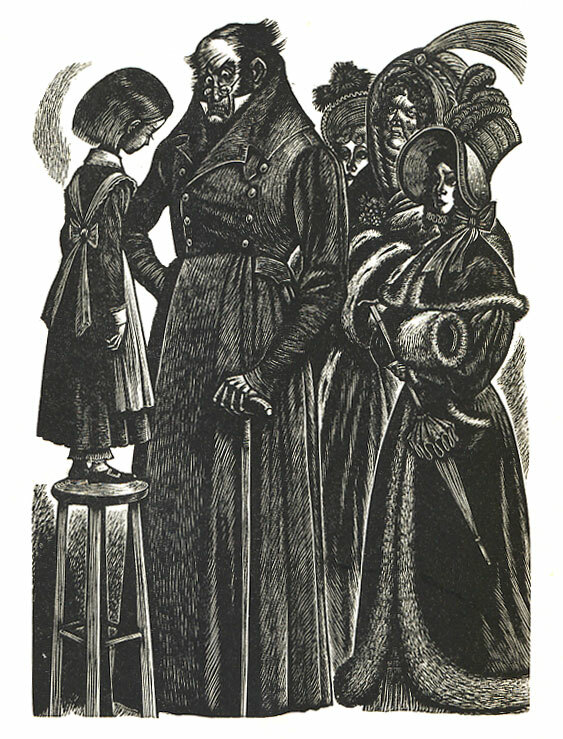 German American artist, Fritz Eichenberg (1901 - 1990) was born to a Jewish family, in Cologne, Germany. He worked as a printer's apprentice and studied at art schools in Cologne and Leipzig, before moving to Berlin to begin a successful professional career. He was interested in exposing social injustice through his work and had already formulated an anti-war policy having lived through the destruction of WWI. 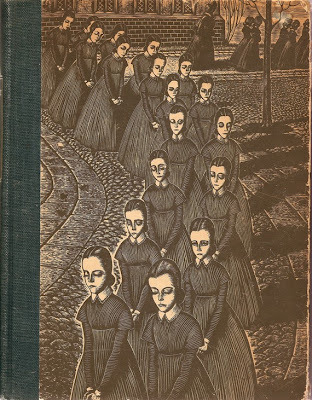 With the advent of the Nazis (whom Eichenberg publicly criticized), the artist and his wife left Germany behind in 1933 and emigrated to America where he settled - mainly - in New York City. He taught art and worked for the WPA Federal Arts Project. Later he served as head of the art department at the University of Rhode Island. Eichenberg became a Quaker in 1940 and remained so for the rest of his life. 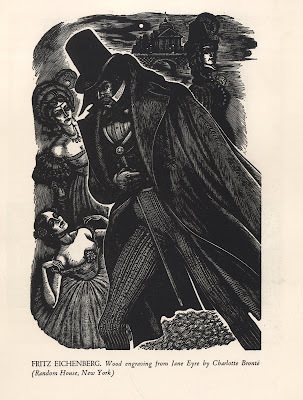 In his prolific career as a book illustrator, Eichenberg worked with many forms of literature but specialized in material with elements of extreme spiritual and emotional conflict, fantasy, or social satire, illustrating such authors as Dostoyevsky, Tolstoy, Charlotte and Emily Bronte, Poe, Swift and Grimmelshausen. 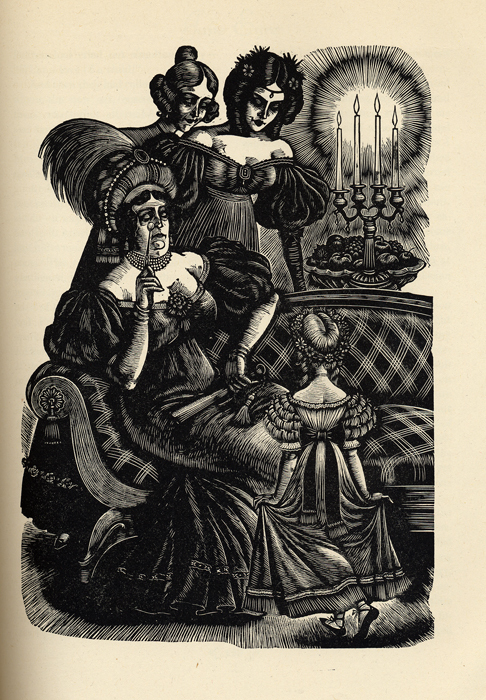 He also wrote and illustrated books of folklore and children's stories. To learn more and see more of Fritz Eichenberg's work, please use this link. More artist information is available here and here . 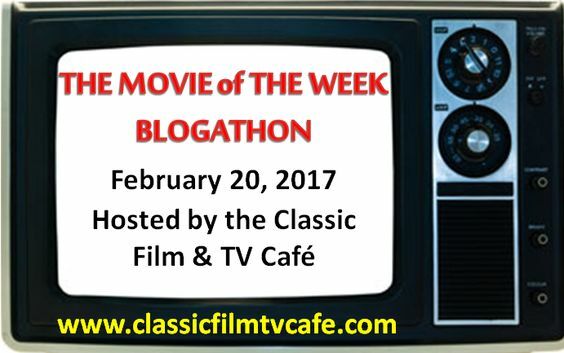 As well as on many other sites around the net. Publishers' Weekly wrote about this edition here. Very interesting artwork. The artist sounds like my kind of person. Glad to see he and his spouse left Germany in the 1930s. 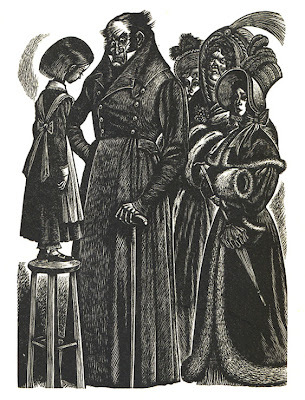 His art reminds me of Kathe Kollwitz, whose works reflected social realism -- which I grew up looking at in my family's home. 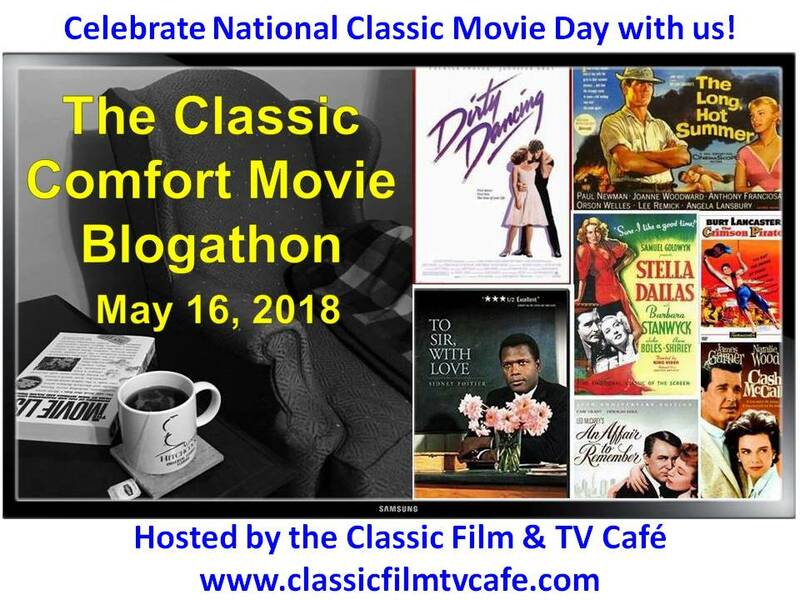 Now Wuthering Heights -- I remember liking Merle Oberon and Laurence Olivier in the 1939 movie. I actually have two copies of this edition and LOVE it. So beautiful. 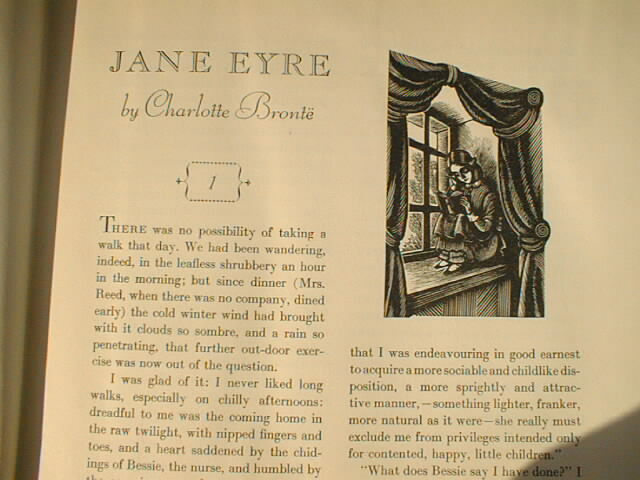 But I also collect Jane Eyre in any form or fashion. There are two groups of people in the world. There's the JANE EYRE group and then there's the WUTHERING HEIGHTS group. Eichenberg was an amazing man. Oh, Picky, I'm so envious. I've only just learned about this version. Soon as my budget allows, I'll be the hunt for a copy. 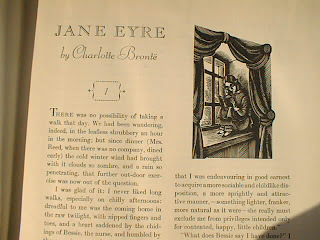 Truly wonderful and very atmospheric illustrations from which one can immediately recognize the scenes which they depict. To have an edition of Jane Eyre with woodcuts by Fritz Eichenberg would, indeed, be something. Thank you, Yvette! When I read these books, I loved the illustrations but I wasn't paying attention to the artists. You're educating me and I love it! Jane and Lance, I believe his original work is available at various art auctions and galleries and such. Just wonderful work. 'Atmospheric' is the word.